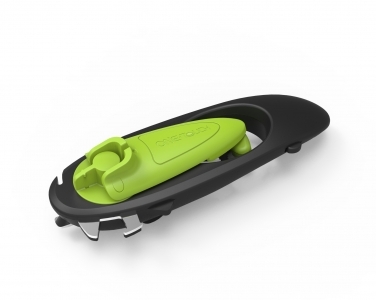 Cando™ is an enhanced version of the Ultimate E-Z Can Opener. 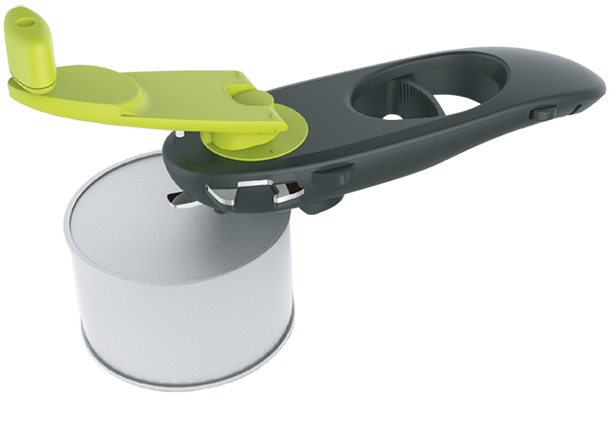 It comes as the same revolutionary way of can opening: no-twisting-no-aching rotary mechanism. 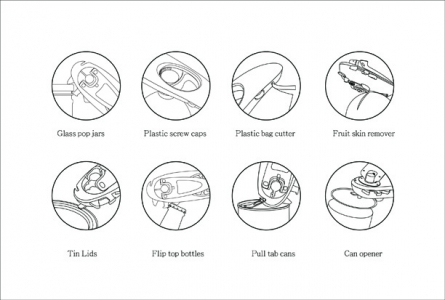 other than the five bonus features (cap lifter, screw top opener, ring puller, jar pop, and tin lifter), it is equipped with two more functions: plastic bag cutter and fruit peeler. 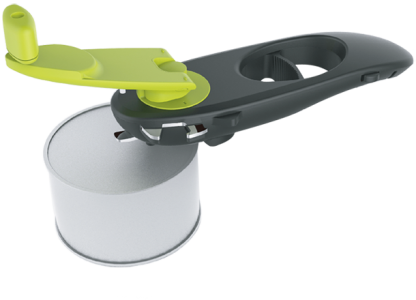 With Cando™, you get all the tools you need in the kitchen!